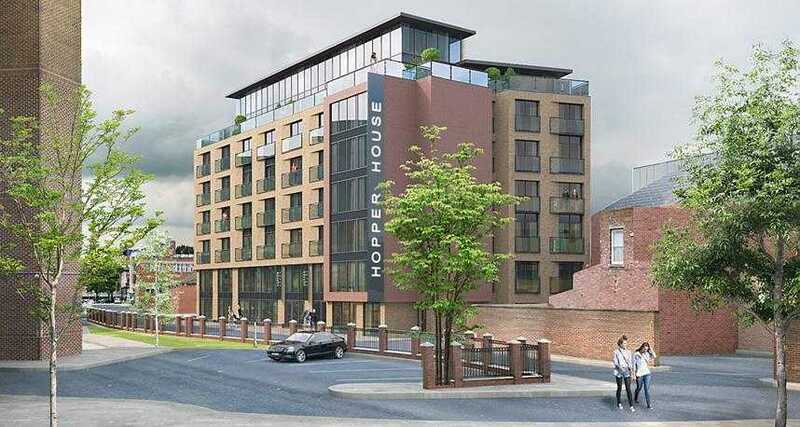 Hopper House will see the creation of 81 stylish apartments in an outstanding central Gateshead location. The development has been designed with students and young, professional urban tenants in mind and will include a host of desirable facilities, from a gym and sauna to bicycle parking and WiFi. Each apartment also features a terraced area to ensure that residents can enjoy their outside space as much as their tasteful interiors. All apartments come fully furnished to an extremely high standard, with quality fixtures and fittings. Laundry rooms within the building reduce the need for washing machines in individual homes, thus maximising space for tenants while removing a maintenance headache for investors. This thoughtful approach to design has been applied across the development. The town of Gateshead enjoys a superb location in Tyne and Wear. Not only a bustling town in its own right, it also sits directly across the river from Newcastle, meaning that Gateshead residents get to enjoy the best of town life right on the doorstep of one of the UK’s most exciting cities. Hopper House residents, for example, are within walking distance of the town centre, where they can enjoy easy access to plentiful shops, supermarkets, banks and leisure facilities, including a nearby Vue Cinema. Students living at Hopper House can reach Gateshead College’s Baltic Campus on foot in just 10 minutes, while Newcastle University is merely a brisk half hour walk away (or a 9 minute drive).